Parrot Bebop Drone owners know that one major challenge is the relatively short flight time offered by the stock battery. 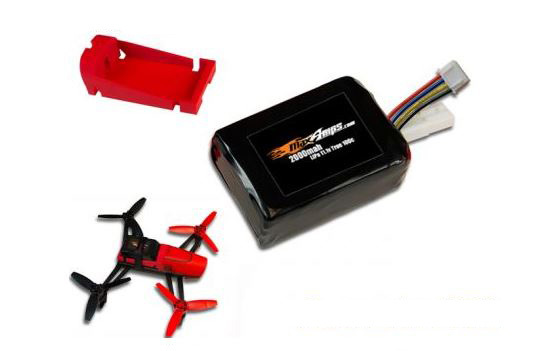 MaxAmps has now released a high-performance LiPo battery pack upgrade for the Parrot Bebop Drone. This lightweight battery adds u p to 40% more flight time and retains the agile flight characteristics known and loved by pilots of the Parrot Bebop Drone. 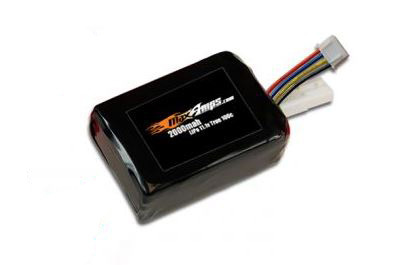 All aerobatics are still easily performed with this longer duration battery installed. A 100C discharge rating translates into plenty of punch and extra power. MaxAmps also offers a battery tray insert to enable seamlessly replacement of the stock battery pack. The battery tray insert is available in the same three colors of the original Bebop drone, in order to match the stock color schemes.The MaxAmps battery includes the proper mating connector and also includes a pre-installed JST-XH balancing tap to allow easy charging using most hobby-grade chargers. Being able to use an after-market charger reduces the overall time to recharge the Bebop batteries. Recharge rates are as fast as 15-20 minutes and multiple packs can be charged at the same time. What is not to love about less charging and more flying! ?